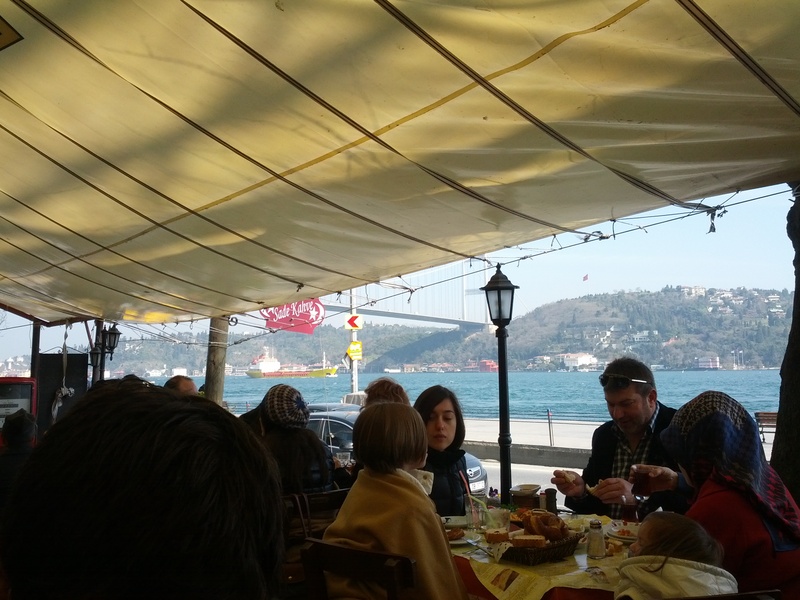 Sade Kahve, which means Only Coffee in Turkish, is a charming little cafe in Istanbul along the Bosphorus waterfront road, at Rumeli Hisari in the Sariyer district. Although it is often very busy on Saturday and Sunday, Sade Kahve is a great cafe for brunch to celebrate the weekend. They have only outside seating but provide blankets in case you get cold. 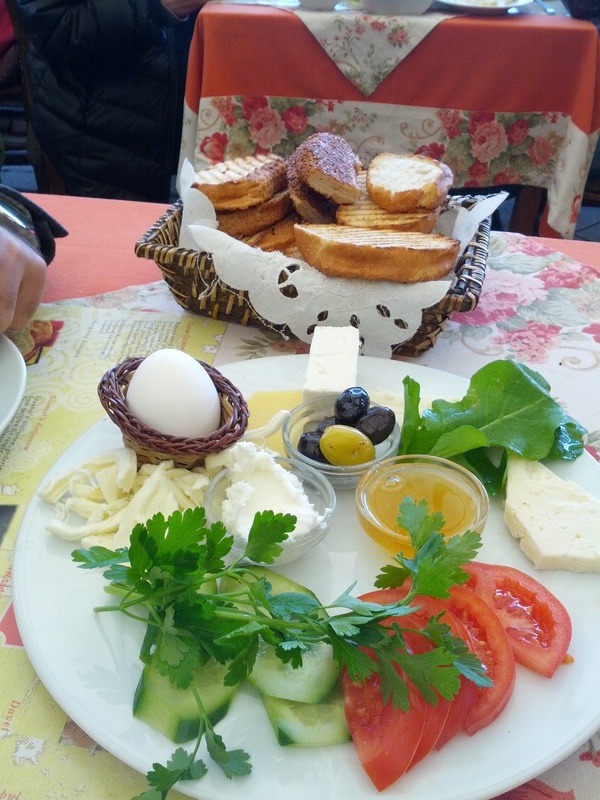 They offer simple traditional Turkish breakfast which is always a delight. For the coffee lovers; they also offer Turkish coffee, prepared in the traditional style over glowing coals. 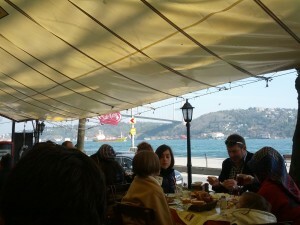 In combination with the good crowd and beautiful Bosphorus view this cafe is a must-try. 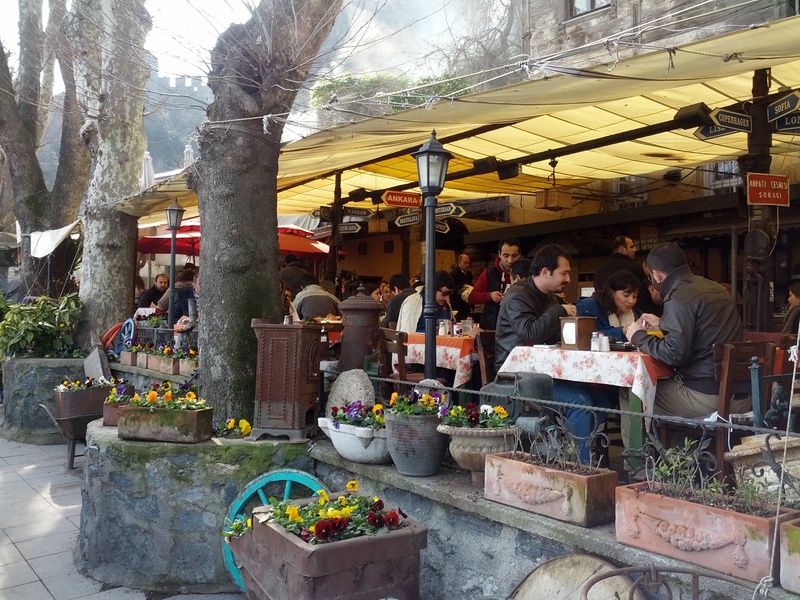 There are many similar restaurants all next to each other but Sade Kahve has definitely something extra in comparison with the other places. 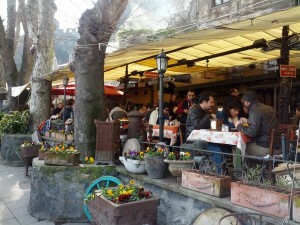 When visiting Sade Kahve you might also check out Rumelihisar. This is an impressive fortress on the hill behind Sade kahve which was built by the Ottoman Sultan Mehmed II between 1451 and 1452 – not long before he captured Constantinople and named the city Istanbul.